I Used to Want a Ph.D.
Watch Rev. Dr. Stephanie's TedxTalk here! ​"I am a lover of the One called by many names. Through teaching, writing, course development, speaking engagements and spiritual mentoring, I have been called to share His extraordinary presence in the ordinary expressions of everyday life." Rev. Dr. Stephanie Rutt serves as the Presiding Minister of the Tree of Life Interfaith Temple, an interfaith church community, she founded in 2009. 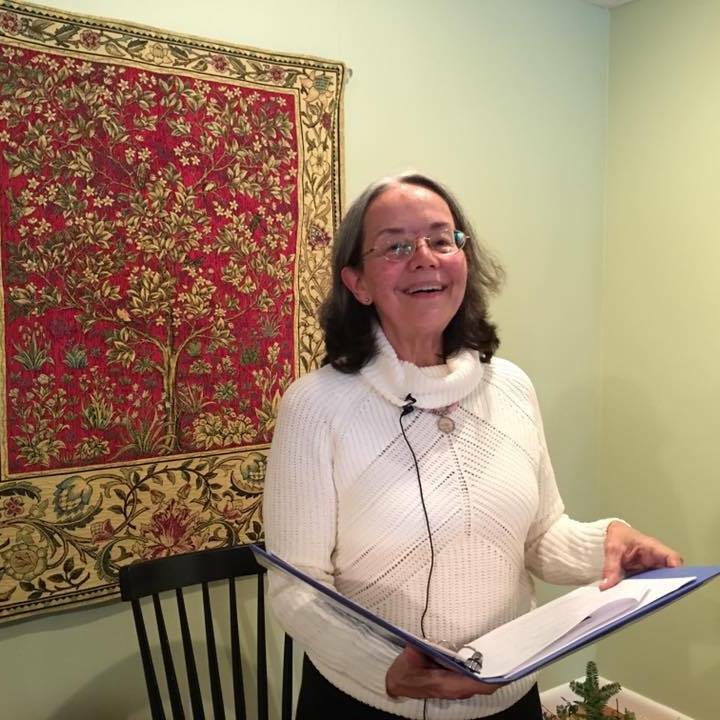 She is the director of the Tree of Life School for Sacred Living and creator of the Tree of Life Interfaith Seminary, a two-year program focused on the integration of prayer, meditation, and spiritual practices from the world's major faith traditions. ​(now a part of Yale Divinity School). ​She graduated with honors and was inducted into the Jonathan Edwards Society. was awarded the ​Frederick Buechner Prize for Excellence in Writing. In 2017, Rev. Dr. Stephanie Rutt's essay, "The Shaykh and the Preacher," was chosen for inclusion in the anthology, Conversations from the Pulpit: Engaging Islam and Countering Anti-Muslim Bias, edited by Celene Ibrahim, Muslim chaplain at Tufts University and Scholar-in-Residence at Andover Newton Theological School. In addition to posting her blog, Become a Force for Good: Rev. Stephanie's Blog, Wordpress.com, Rev. Dr. Rutt also publishes Guest Commentaries in local newsprint. Rev. Dr. Rutt has served her local interfaith council through visioning such programs as the "To Hear How Others Pray" series which invited lay people and faith leaders of different faiths to share personal experiences of prayer as a way of highlighting all peoples' common humanity while respecting religious difference. Today, she is leading interested communities in right action through the "Interfaith Peace Walk" which offers a visual demonstration of how people from across faith traditions can stand and walk together in unity and solidarity while simultaneously forging a common goal for peace. As a member of the World Alliance of Interfaith Clergy Rev. Dr. Rutt serves as a member of the Board of Directors and presented at their 2016 national conference offering, "Under One Sky: How to Organize an Interfaith Peace Walk." 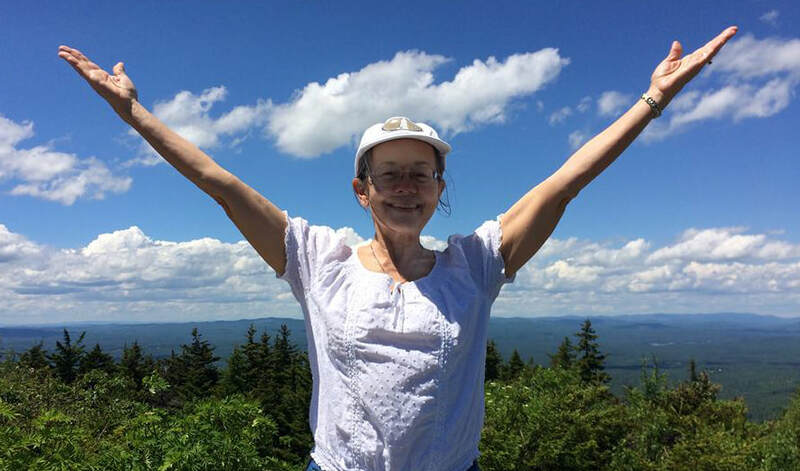 She is also a member of the Interfaith Alliance, the North American Interfaith Network (NAIN), Spiritual Directors International, and the Sacred Dance Guild. I became an interfaith minister because, though I knew to Whom I belonged, I simply could not choose one faith tradition over another. I had found God's amazing grace, I once was lost but now I'm found, in my hometown Methodist church and had come to know him intimately as my treasure exulted in Be Thou My Vision. ​I had come to know his hallowed name, unrefined, in the depths of the Lord's Prayer in Aramaic. I had sensed him in the sweet silence of contemplative prayer and had discovered him walking with me through the valley of the shadow of death in Psalm 23 as the Hebrew Alpha-Beis became a lamp onto my feet. ​I had felt him dancing inside my soul as I chanted the beautiful Sikh practice Kal Akal and he had brought me to stillness while turning, turning, turning with the Sufi's leaving no doubt of my unity with all from my moving breathing practice of la ilaha illa allah. He had held me fast as I endured the fires of purification in the Native American sweat lodges as he had guided me to new vistas on the Shaman's drum. In Vipassana meditation, he had shown me definitively the difference between my thinking about him and knowing him. And from my long study of Sanskrit mantra and the Bhagavad Gita, he had tirelessly guided me to stand up and do my duty on my own battlefield of life. Just as I have discovered God across faith traditions, I am convinced that, with new eyes, we are able to see the face of God everywhere. As I am fond of saying, "If I can't recognize God in Walmart, what's the point?" This is a common theme in many of my blog postings, most notable "A Bowl and A Prayer" (5/18/13), "America Runs on Delight" (7/10/13) and "Guru One Sock" (6/14/17). Yet, to see God everywhere also means that we must extract God's gift of Grace from the noxious bowels of our deepest hardships and despair. From my long healing journey, I have discovered the greatest of gifts within those very caves I was most afraid to enter finally realizing, wondrously, I truly do blossom not in spite of, but rather, because of. From the inner journey, we are able to reach out with authenticity, clarity, and compassion and offer a balm to our suffering world. Again, this is a theme from blog postings: "In Response to Tragedy: An Open Letter to Adam [Lanza] (12/18/12), "Open Letter to Pope Francis" (3/20/13), and "Would U Still Love Me?" (8/22/16) addressing the Black Lives Matter movement. And, so, I love God most. For here is my true sanctuary, holding all of my experience, and blessedly, graciously, endlessly, leaving me not where I began.